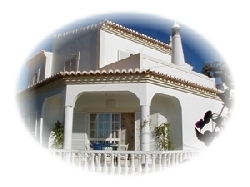 Welcome to our selection of holiday rentals in Sesmarias Village. Wouldn�t you just love to have a holiday where you can actually relax and enjoy yourself with nary a worldly care? Head to Sesmarias Village, if this is your idea of a holiday; a place where you can relax, unwind, recharge and enjoy yourself to your heart�s content. To start off, you can go any time of the year as the place is blessed with temperate climate the whole year around with over 300 days of sunshine in a year. Now mind you, this is next to the ocean and some excellent beaches. Though the bulk of tourists come here from March to October to enjoy the sun, sand and sea, besides the other attractions, peak winter also draws people because of the sunny weather. With the sea and beach at hand, you can choose from the many water sports. Ever tried deep-sea fishing? This is just the place, if you haven�t. If being underwater bothers you and you want to be above water, try your hand at some water skiing. Swing from side to side and see your wake trying to keep up with your skis. If you think that is still close to water, how about a panoramic view of the sea, the beach and the horizon? A Parasailing jaunt will fetch you this and a lot more as you take in all of this from high up. Be sure to click some pictures to remember the occasion! If you find all that too strenuous, opt for a cruise to relax and enjoy yourself. To add to the holiday atmosphere there are musicians, street stalls and entertainers. Restaurants, bars and shops offer brief interludes before you head back to enjoy the exciting atmosphere of the place. Some of the best beaches are Gale�, Sao Rafael, Sao Lourenco and Castelo. If golf is your weakness, you are spoilt for choice with over 30 courses to choose from. You can also choose to go horse riding in the surrounding areas. A trek or a walk is also a great way to unwind while taking in the great scenery. Don�t want to walk? No problem; quad bikes are available to explore the different terrains. Looking for self catering holiday accommodation in Sesmarias Village? Then below is a selection of holiday villas in Sesmarias Village and holiday apartments in Sesmarias Village that can be rented direct from their owners. You can either click on each listing for further details or you can use our search engine on the left if you are looking for something in particular.